It's been a while since I have posted on Age of Warhammer, so I have decided in a bid to start providing more content on the blog whilst still posting on the Battle Bunnies, I will be doing a monthly hobby update. This will be to keep you up to date with my current progress in the world of fantasy wargaming plus any news or rumours I am personally excited about! It will just be a monthly post but hopefully in the future when we get the campaign up and running there will be a second one from me on any campaign developments or battle reports we put together. 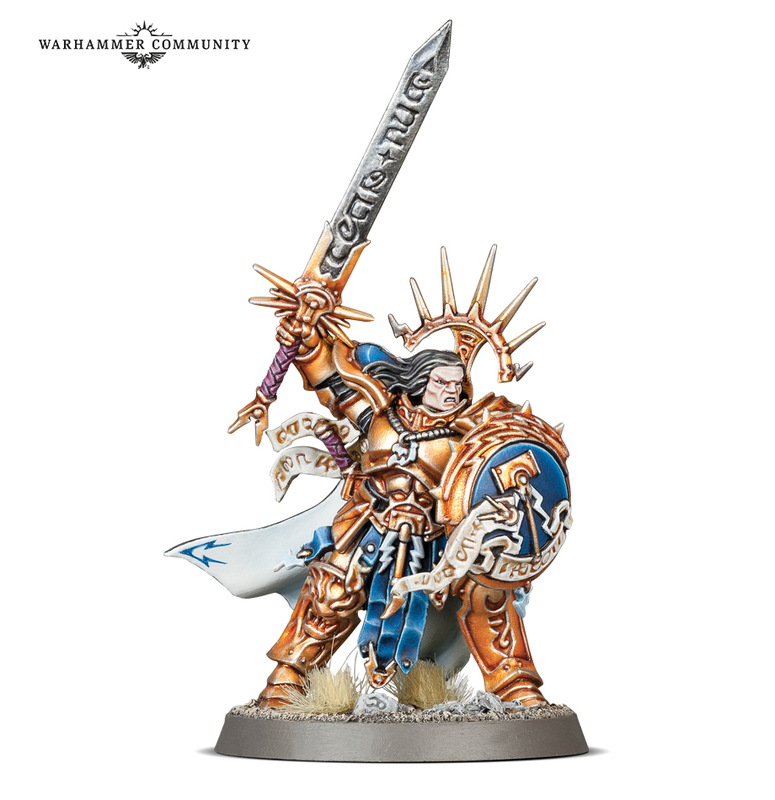 Don't get me wrong I do love the new Games Workshop and how they are now operating but I can't say I was pleased to see another stormcast hero revealed. Obviously it's great for stormcast players but could we please have a hero for another faction next time GW? I understand they are the poster boys of AoS but I think he is now the 16th leader option for the faction, from what I can see from the GHB 2017 points page. 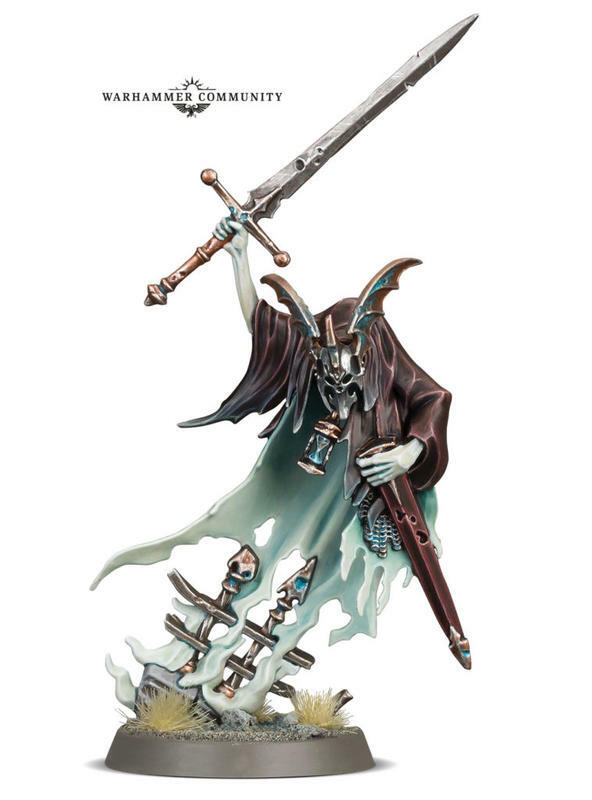 Now a new plastic vampire would definitely be amazing to see but the model below is still pretty awesome, plus the new warrior queen that has also be revealed. So lets hope with the Malign Portents campaign we'll see a big death release! But overall I am very happy with how things are going for AoS currently, I'm just hoping we'll see an updated faction release or a new faction release soon. I'm thinking Nurgle next and then maybe a death release. Not sure where we'll see the rumoured elf faction though! What do you think will come next? So if you haven't played this game yet on the PC I thoroughly recommend you do so. It really is terrific and vastly superior in my opinion to the newest Dawn of War game. Creative Assembly have really done a great job. Particularly with the new Mortal Empires update you can pretty much play as any race from the old world and I am sure the missing ones like the Tomb Kings will have a DLC soon or will be included in the third game. I am a Dwarf player through and through so the Dwarfs or Clan Angrund have been my main choices to play as so far. I have been playing on the hard difficulty setting which really does provide you with a tough challenge. I may try my hand at the very hard difficulty setting in the future but its going to take some practice! Below is a graphic showing the territory I have conquered. It's not a great tactical overview but it shows you the current situation. The light blue to the east and south are my territories with a few scattered over towards the west and the mountains near to Bretonnia. The red is the Empire and the yellow represents the Border Princes who are both close allies. With the brown being the last few Vampire Count settlements. The initial challenge was quite hard, as I had to try to wipe out the Greenskins quickly and efficiently while I hoped Zhufbar and Karak Kadrin could hold off the vampires long enough for me to move north again after I destroyed the orcs. Thankfully they did and I then overwhelmed them, buy supporting the empire with gifts of gold to keep them closing in on them from the west! Next month I'll be able to show some more progress, when I hope to confederate with Clan Angrund to deal with the powerful and concentrated wood elf armies! As a player I am mostly interested in improving my painting and gaming. I do like the tactics and strategy involved with more competitive gaming so I am hoping when I have finished an army, i'll have the chance to try out another tournament. However, finishing an army is a long way off! Although they lack dynamic poses they really are lovely models and have been great to paint. The two on the front right hand side of the picture are the two most completed of the bunch. As I have finished the gem stones. The haft of the hammer has not been completed yet as I am still deciding on the colour that will tie the army together cohesively but at the moment its looking like it will be a base of screamer pink and then it will be built up from there. I am currently working on the war horn bearer who is in the background, I'll show you a better shot of him next time and also give you a look at the models from behind. The goal is to complete these five with blonde beards before moving on to the next five who will have either brown, ginger or grey beards. I'll do them in batches of five until I eventually have a unit of 20! Something I have really wanted to improve with this army is my basing ability. In previous armies I have just done the bare minimum, but I know if I do want to enter painting competitions in the future I'll have to improve my basing a lot. So I have been doing a lot of testing. I have settled on using slate chippings rather than cork, so some of the models will be stood on rocks whilst others will just be on dirt with smaller rocks scattered at their feet. Above is what I have settled on colour wise, but I am now looking into what foliage and flock I can potentially use to make them look like a rocky Dwarven hillside but with some grass and flowers to make them interesting and eye catching. I am also trying to make them fit well with the terrain we'll be using for where the Dwarves are situated in the campaign which is predominantly grass and rocks. I'll have a lot more for you to see on this in my next post as I should have more foliage by that point. It really is just about testing things out at the moment to find the right look. I have not played any games of age of sigmar for a while now, which is my fault for swapping from Ironjawz to a new army. Although I have been watching a lot on the Warhammer TV stream and looking into what kind of army I would like to build for the Dwarves from a campaign point of view and from a competitive point of view. For the campaign it will just be a combination of the units I would like to use, so it will be a nice and fun army for my fellow bloggers to play against. Where as for any future tournament I have been looking at how I could create a good list from what the Dispossessed have available to them (Which isn't much, so it will probably crash and burn! lol) Although I do like the challenge, so expect to see more on that next time. Well thank you for reading and I will hopefully have even more to talk about next time, any questions just fire away below and i'll get back to them when possible! I really like this format of monthly post! Loads of interesting stuff to read! Great stuff!